I'm very excited to announce a new collection of essays on Samuel Beckett, edited by S. E. Gontarski. 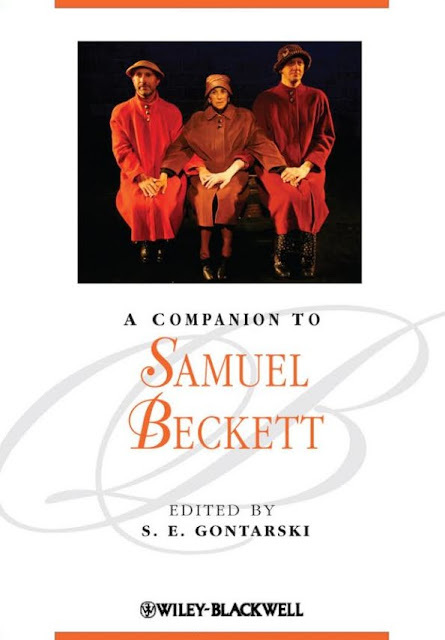 A Companion to Samuel Beckett is published by Wiley-Blackwell in the UK and the United States, and includes a rich and diverse selection of scholarly and theoretical approaches. The first part of the collection, 'A Life in Letters', follows the recent publication of Beckett's personal correspondence; among the essays are accounts from official biographer James Knowlson, and Beckett's Grove publisher, Barney Rosset. The second part broadly addresses new theoretical and philosophical approaches to Beckett's writing, and includes work by distinguished scholar Jean-Michel Rabaté and Beckett and Postructuralism author Anthony Uhlmann. But there's more. Mark Nixon's work at the Reading archive uncovers new insights into Beckett's time in Germany during the 1930s. Shane Weller moves toward an ethical understanding of the Irish writer's work - while C. J. Ackerley and Brett Stevens survey the influence of science and mathematics respectively. Marjorie Perloff analyses Beckett's poetry in the third part of the collection, 'Acts of Fiction', and is complimented by work from S. E. Gontarski, C. J. Ackerley and Dirk Van Hulle. I'm particularly interested by some of the issues raised by Susan Mooney's essay, 'Malone Dies: Postmodern Masculinity', which stresses the continuing relevance of Beckett's writing to new cultural ideas of identity and culture. The fourth and final part of the book addresses Samuel Beckett's theatrical work and issues of performance, from Mary Bryden's 'Clowning with Beckett' to Enoch Brater's survey of the 'Seated Figure' and David Bradby on Beckett's German production of Waiting for Godot. There is also an intriguing survey of Beckett's works for television, which has been under-represented in much academic criticism. In short, A Companion to Samuel Beckett promises to be a significant contribution to contemporary academic debates on his work. The contents page (see below), is a veritable Who's Who of the last 40 years of Beckett scholarship, with just a few key names missing from the roster. Its resourceful use of the most recent archival materials make the Companion a relevant and important contribution to international Beckett scholarship. In fact, I would not be surprised if Gontarski's clever and expansive collection becomes one of the go-to texts for distinguished scholars and newcomers alike. 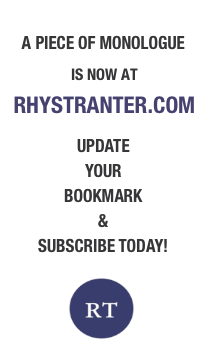 A Critique of Aesthetic Judgment: Beckett's "Dissonance of Ends and Means"
A Purgatorial Calculus: Beckett's Mathematics in "Quad"
Figures of Script: The Development of Beckett's Short Prose and the "Aesthetic of Inaudibilities"
"In the Old Style," Yet Anew: Happy Days in the "AfterBeckett"